European carmakers are required to reduce their CO2-emissions, but the Volkswagen affair has shown they find it increasingly difficult to do so. 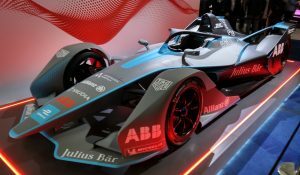 There is a way out, however, writes energy consultant Mike Parr: they could follow the example of Audi and invest in power-to-gas systems. This would kill two birds with one stone, argues Parr: it would help decarbonise the transport sector and could enormously help the integration of variable renewables in the electricity market. EU legislation requires EU carmakers to reduce emissions from their new cars to 95g CO2-km (on average) in 2021, a target which they are finding it hard to meet. In 2014, the average emission level of new cars sold in Europe was still 123.4 gCO2/km, according to figures from the European Commission. Yet carmakers may have another option: they could invest in power-to-gas systems (P2G), as Audi has been doing. To understand how this could work, we need to discuss what P2G is and how it could change the energy market. Current regulatory trajectories for renewable energy point to PV and wind having to provide “grid services” such as frequency response (FR), which is needed to maintain stability in the transmission network. 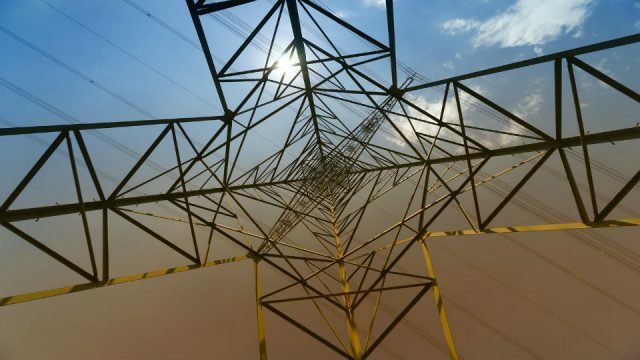 This becomes more important as the amount of synchronous generation connected to the network declines (closure of coal, nuclear and gas-fired power stations). There is also the “need” (demand?) for renewable energy to be “integrated” into intra-day and day-ahead markets. The provision of frequency response can be accomplished by bolting battery storage onto a wind farm (or PV farm). Various (government funded) projects in several EU member states have shown that storage can certainly provide FR and also smooth variable output of wind or PV hour by hour. However, once one moves into the area of storing significant quantities of energy (i.e. multi-MWh or GWh), battery storage, whether lithium-ion, vanadium reflow or sodium-sulphur, becomes expensive. Prices tend to sit at around Euro1 million/MWh. Most EU-storage projects are government funded because the capital cost of storage does not match the net present value of any benefits that the storage brings i.e. benefits << costs. Other storage systems exist such as pumped hydro. But this is limited by geography. The best location, Norway, unfortunately has Norwegians that are not exactly jumping for joy at the thought of becoming Europe’s biggest battery. Other options such as CAES (compressed air storage) always seem to be just around the corner in terms of being commercially ready. Whilst the above does not look promising we can take heart from Pliny’s “semper aliquid novi Africam adferre” substituting technology for Africa. Recent research conducted by my consultancy PWR into power-to-gas (P2G) suggests that this technology can do several things and, at MWh-scale and GWh-scale, is already delivering these “several things”. In a P2G system, renewable electricity is converted into hydrogen (through electrolysis) and then, by adding CO2, into synthetic methane. This is called synthetic natural gas or SNG. For the second step it is helpful to have a source of CO2 at hand, e.g. a biogas plant. Currently, the largest operational P2G project is located in Werlte, Germany. The plant was designed and built by Etogas for Audi and has a capacity of 6MW. 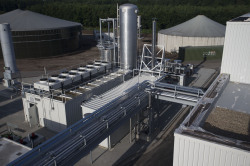 The plant uses renewable power to produce hydrogen which is then combined with CO2 (from a neighbouring biogas plant) to produce methane. The biogas plant reuses heat produced by the P2G process which gives a good overall process efficiency for the P2G system. The gas produced by the P2G system is injected into the local gas main. Falling into the “strange but true” category, the plant is operated (but not owned) by the TSO, Tennet, which uses the plant for secondary frequency response and also for balancing purposes on intra-day and day-ahead markets. In other words, Tennet decides when it puts the renewable electricity on the grid or uses it to produce hydrogen. In this way it becomes dispatchable load for Tennet. Now what has all this to do with carmakers? Audi has a car called the g-tron. This runs on both compressed natural gas (CNG) and petrol. There are around 1000 CNG refuelling stations in Germany (other EU member states have varying but growing numbers). Audi, however, does not use the SNG it produces in Werlte in its cars. Instead, Audi will match SNG injections into the gas system at Werlte to CNG consumption by g-trons at CNG stations in Germany. Expressed another way, g-tron owners will be carbon-neutral when driving their cars. In other words, this is a compensation scheme. What I suggest is that other carmakers follow Audi’s example and start investing in SNG production. 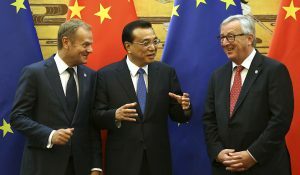 This could be a relatively painless route for them to meet EU emission targets – and it could be of great benefit to renewable energy in Europe. It may be objected that it really is a task of energy companies to invest in P2G. Why would car companies enter into it? The reason is that for electricity producers, P2G is not competitive: SNG is considerably more expensive than ordinary natural gas used in electricity production. However, compared to CNG used in transport, SNG is very much competitive. I have made calculations showing SNG will cost some 10 eurocents/kWh, which is more than the 5 or 6 eurocents/kWh or so which natural gas costs, but considerably less than the roughly 26-29 eurocents/kWh that CNG costs. For the moment it is clear that SNG could not be used directly in transport. This would require investments in distribution infrastructure that do not make sense for small volumes. In time, if carmakers were to invest heavily in SNG production, this may be an option. There is a question whether SNG production as a compensation scheme will be allowed for carmakers to count towards meeting their CO2 emission target, but I believe this hurdle can be overcome. For European policymakers who would like to see renewable energy expand in Europe, large investment in P2G systems could be very important – perhaps much more important than they realise. P2G production systems are scalable, you can make the plant as large (50MW) or small (0.5MW) as you want. As already noted, gas storage is free and more or less infinite. For example, the storage capacity of the German gas network is roughly 150 to 200TWh. Putting this into context, electricity consumption in Germany is roughly 500TWh per year. The north-south gas network in Germany can actually carry energy an order of magnitude greater than the north-south electrical interconnectors. Food for thought as the Germans are planning to spend billions expanding the north-south interconnections (against much public resistance) to carry electricity from offshore wind farms in the north to consumption centres in the south. The gas grid is already there, ready to be made use of. On a more negative note, pushing SNG through a gas turbine will not give you a very good round trip efficiency, perhaps 30%? 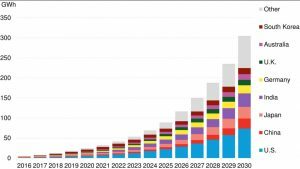 But this is rather to miss the point of P2G, which is to provide to the TSO dispatchable load of a size that could help handle large amounts of non-dispatchable (although predictable) renewable generation. Readers who are tempted to take the view “fine in theory – but it will never happen” may wish to consider the following. Companies now playing in the P2G (and power-to-hydrogen) space include Gas Natural Fenosa, RWE , GDF Suez, EON and Enel, as well as Audi. All the projects, without exception, include the provision of network services from the P2H/P2G systems and for the most part are well north of €10 million per project in terms of funding. The cost of electricity is a key determinant with respect to the ultimate cost of SNG. Connecting P2G directly to wind farms (or PV sites) is a possibility provided the levelised cost of electricity (LCOE) for a given farm supports the economics. In North Germany this would work given LCOEs of around €59/MWh for onshore wind (source: Prognos). Moving to windier locations, the northwest coast of Scotland or western Ireland have vast tracts of land with average wind speeds of 9m/second. This gives onshore wind capacity factors of 43 to 47% and LCOEs around €25/MWh. Cheap energy by any account and thus low cost SNG. 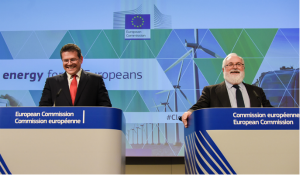 At the moment policymakers seem to be unaware of what this technology could do for Europe both in terms of the “RES problem” and the “transport emissions” problem. It remains to be seen if they wake up. P2G is not (and never will be) a “silver bullet”. However, my calculations suggest a business case already exists, although there will need to be some regulatory adjustments, for example in Germany, plus perhaps a European-wide rule that SNG and biogas get free transport in the gas network. Any government support would be limited to, for example, supporting the roll-out of more CNG stations and encouragement for the European transport fleet to move towards this fuel. Mike Parr is Director of energy consultancy PWR which undertakes research in the area of climate change and renewables for clients which include a G7 country and global corporations. 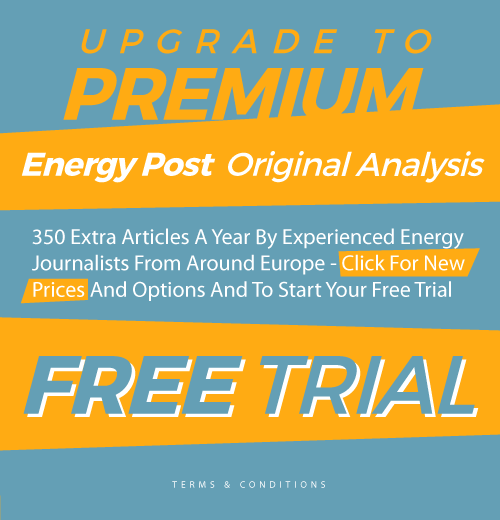 See his author archive on Energy Post. Mike Parr is Director of energy consultancy PWR (http://www.pwr.co.uk/) which undertakes research in the area of climate change and renewables for clients which include a G7 country and global corporations. 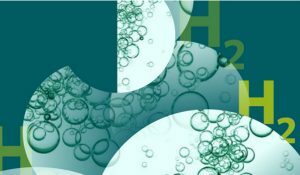 An interesting article that left me with a question: if one produces hydrogen by electrolysis of water, what is the advantage in then transforming it into methane? Why not simply store the hydrogen and use it “as is”? Colin, hydrogen can be mixed with pipeline gas only to a limited extent, some 20% if I remember correctly, but don’t take my word for that. By turning it into methane, you can put it all in the pipeline. Methane is natural gas. Thanks for the question Colin. H2 has a wide range of industrial uses. So yes it could be stored, transported and used elsewhere. As Karel points out, putting it into existing gas pipelines has limits (in the range 2% to 10%). Furthermore there is the issue of what value does the H2 have when injected into the gas system? By contrast, we know the value that SNG has for transport applications & the gas system can accept almost unlimited amounts of SNG for this application.. It may be possible to use the same Power to Gas plant to inject BOTH some H2 and syngas. It’s the H2 alone that has the largest impact on the pipelines. It’s probably worth noting that NG in the pipelines is currently not a pure methane, but a mixture of methane, with some ethane, butane, propane, nitrogen… and other gases. The more of the heavier butane, propane and ethane and the higher the therm (heating value) of the gas. H2 and or syngas alone would dilute and lower the heating value. That can result in a slight increase in the use of gas from pipeline. See slides from GTI presentation on blended NG/H2, of interest is the increased levels of NOx as result of combustion. It is a simple task for any ICE car maker to switch to make CNG cars. CNG cars cost no extra money compared with petrol/diesel ones and it is well proven tech. (Syn)gas/fuel for transport has a place in the future (especially for trucking), but a crash build-out to meet 2021 auto fleet emission requirements doesn’t sound like a great idea. One could argue that the fleet conversion starts with natural gas, and then ‘moves’ to syngas as it becomes available; this is unproblematic on a small scale, but on a large scale would be extremely counter-productive. The most unpleasant short-range problem that I see is that the the auto manufacturers would be encouraged to continue with ICE modifications and production, reducing the motivation and resources moved to electric cars, which must be the bulk of the future fleet. Likewise with the infrastructure build-out needed for electric cars. I hope that a sudden and belated desire to take the emission standards seriously does not lead to short term fixes which detract from electrification. It is about cost. European car manufactures promotes PHEV for an additional €20k over base price. A CNG car cost additional €10k over base price. A combination of CNG PHEV is thus about €30k above the base price. Surprise, surprise, this kind of cars doesn’t sell well. Toyota is cost competitive with their hybrids and they sell well. Even cheaper 48V mild hybrids with an 13 kW motor/generator are (always?) two years away for estimated €1k extra. Pakistanian and iranian engineers are able to convert engines to run on CNG for €1k today . I can imagine a cost-effective 48V mild hybrid running on CNG/SNG as an intermediate solution for additional €2k above base prices. But I don’t think that the premium European car brands see the same future. Good point. We are at about €600,000/MWh in Europe today, I was told by the CEO of a battery manufacturer just last week. He said the price would go down to €400,000/MWh in next three years. I will write about it next week. Batteries (I tend to see home applications as the most interesting) have a role – but remember storage cost for P2G is more or less zero. Set against that, batteries have a much better round trip (circa 90%) than P2G (circa 30%). For large-scale applications P2G looks the better bet if you want to “do something” on a GWH scale, with RES elec’ . Sadly society has a tendancy not to take the “better bet” (VHS vs V2000, DR DOS vs MS DOS the list is long and inglorious). Thank you for the very interesting article. Though I am a bit puzzled by the comparison between the prices of SNG and CNG. If SNG is expensive, it is that it needs to be compressed, but still it is made from cheap natural gas. Moreover I wonder if taxes are included in the given price of CNG, and not in the SNG price. you mention in your article cost for SNG of around 10 Cent/kWh. You are also of the opinion that LCOE of 59 €/MWh are good enough to make SNG economically viable. If you take the efficiency of 50% for a SNG plant into consideration then SNG would cost 11.8 Cent/kWh because of the cost for electricity only not to mention the CAPEX and other OPEX. Thanks for the questions Mr Buschgert. The 50% efficiency you take for an SNG plant is somewhat low – 60% is more representative. Why do you think storing hydrogen is costly? “You say that the cost for CNG are around 26-29 Cent/kWh.” – nope – that’s what Eurostat says – & it is the price without taxes. CNG at filling stations is provided by… the gas network. If they need to compress the gas (to push it into car gas tanks), then the compressor would be at the filling station – a P2G system would thus only need to match the pressure of the local gas system. Be delighted to provide loads more details. Feel free to contact me directly so we can discuss terms & conditions – given that we are both in business to do business. first of all I would like to thank you for your answer. Even with extremly optimistic assumptions the current achieveable efficiency is around 50% (in best cases 52%). I agree that the efficiency is higher for pure hydrogen generation (roughly 63%) but definitely not for methanisation – so generation of SNG.